Bottom – Participants in the Y’s Center for Child Development. 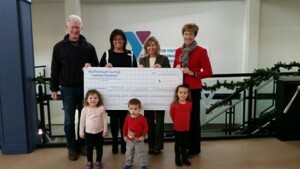 Westborough – The Marlborough Savings Charitable Foundation recently donated $25,000 to the YMCA of Central Massachusetts 150th Anniversary Capital Campaign. 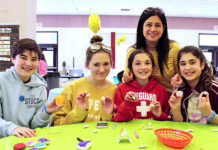 The funds will be used to expand the programs and services offered at the Boroughs Family Branch through completion of expansion and construction projects. “The undertaking will result in a stronger community and increased access to vital programs and services,” said Kathryn Hunter, president/CEO of YMCA of Central Massachusetts. Specifically, the plans for the Boroughs Family Branch include an Outdoor Family Aquatics Complex. The Y partners with the Friends of Families in Transition to provide youth activities and memberships for homeless families living in a nearby motel – just one example of a program that will benefit from the Outdoor Aquatics Complex. In addition, a much-needed expansion will provide two floors of space for fitness classes, table tennis and flexible program space that will support the Y in responding to ever-changing community needs. It will serve as home base for LIVESTRONG at the YMCA, a free program for cancer survivors and their families and Let’s Go!, a pediatrician referred initiative to teach healthy eating and active living strategies to children and their families, to name a few. Marlborough Savings Charitable Foundation was formed to further community development in the communities served by Marlborough Savings Bank and to support community organizations that contribute to the quality of life in the Bank’s communities. For more information visit agreatbank.com. The Boroughs Family Branch began its operations in 1983 in a small branch office running all of its programs without a facility. 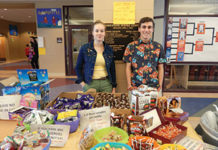 The Boroughs Branch, during this time to the present, has provided services and programs throughout a nine town area including: Berlin, Grafton, Hudson, Marlborough, Northborough, Shrewsbury, Southborough, Upton, and Westborough. 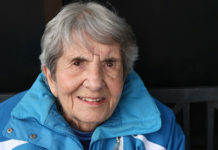 For more information, visit http://www.ymcaofcm.org/locations/boroughs-family-branch/.